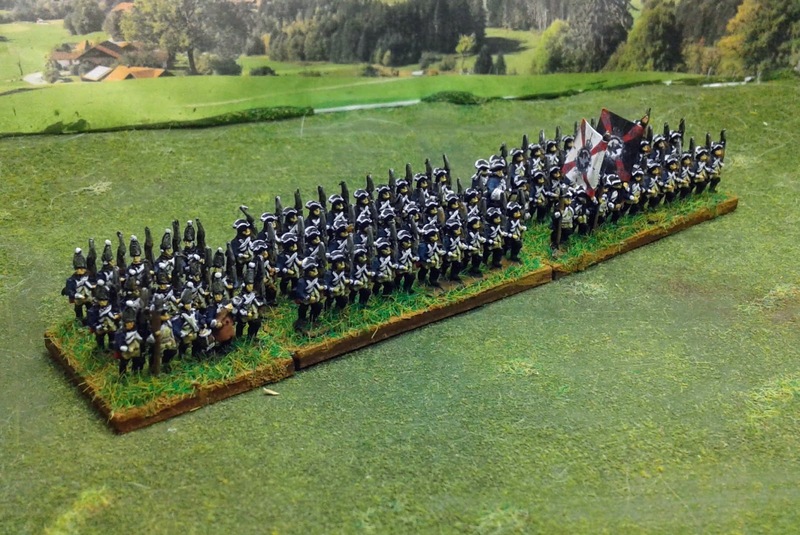 One more Prussian Regiment, this time No 13 Itzenplitz. 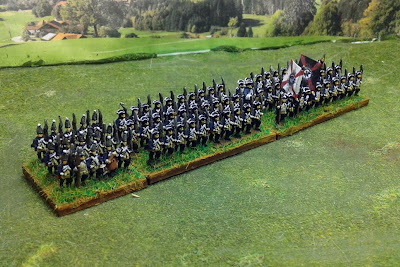 I painted this regiment mostly because of their history at the end of the war. In response to the "Miracle of the house of Brandenburg" King Frederick had the regiment re-dedicated with Tzar Peter as the inhaber. The 'surprise ending' to the contest between Prussia and Russia during this period has always seemed like lazy writing from a bad serial play. The fact that the action had implications for centuries to follow is also a terribly interesting thread to pull when considering the "what if's" of history. A fun idea to pontificate over, and more than enough justification to get me to put on white cuffs instead of the usual red and the painting table. That puts the total at three additional regiments for the month, so here is a group photo with my latest command stand as well. 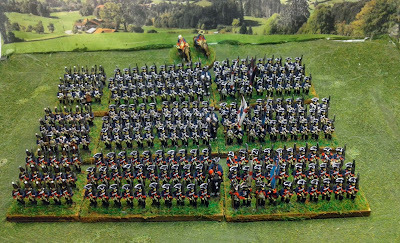 All figures are Old Glory Miniatures. Oh my, what sight. 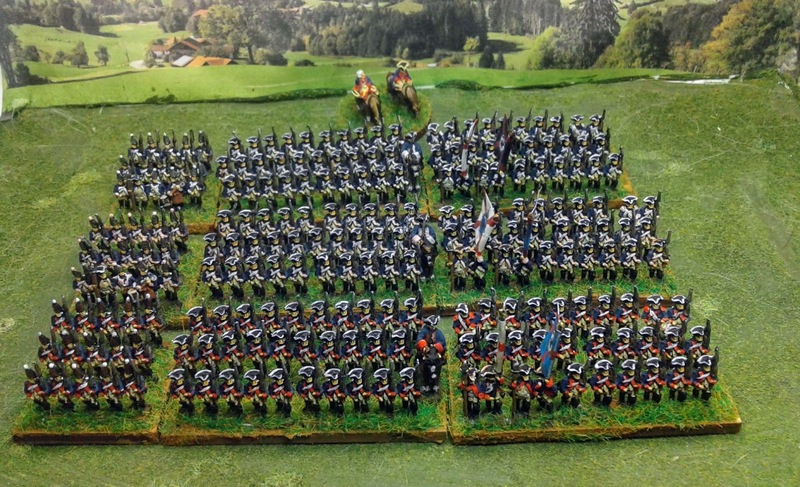 Very impressive array of troops! Love the grenadiers in their mitre caps. Excellent work! Have you painted through all of your Old Glory stock? I fine looking regiment indeed; your 10's are excellent. Tsar Peter's infatuation with Prussia is one of the odder turns of events in European history! Thanks, and agreed Peter's decision had far reaching ramifications that echo today.